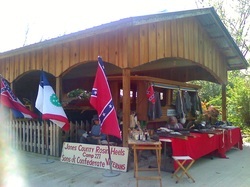 Rosin Heels at Natchez in 2008. 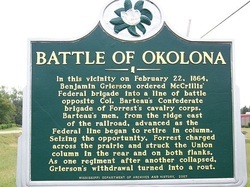 The 2nd Annual Okalona Reenactment will take place February 23-25 near Okalona, MS. Last year was the 150th Anniversary Event and the first year it was held. This year looks to be bigger & better. Come help a Mississippi Event prosper. 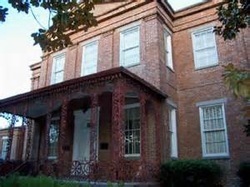 The annual trip to Routhland Plantation will take place on Saturday March 21 from 8 am-2pm in Natchez, MS. It is held in conjunction with the Spring Pilgrimage tour. There will be a Confederate encampment, musket firings, and live period music. Easter is the following day and should not be a conflict. The Annual Pinefest hosted by Landrum's Homestead and Village will be held on Saturday April 25th from 9am-3pm in Laurel, MS. 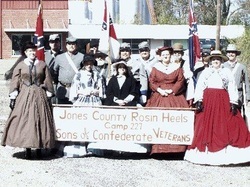 The Jones County Rosin Heels SCV Camp # 227 will be having a living history setup on the grounds. 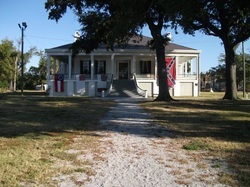 Beauvoir will host the annual Confederate Memorial Day Festivities at Beauvoir; The Last Home of CSA President Jefferson Davis on Saturday April 25 in Biloxi, MS. There will be a pot-luck picnic on the grounds, as well as a program with speakers and a Confederate honor guard. 120th Annual Reunion - Mississippi Division of the Sons of Confederate Veterans will be hosted by the Gen. William Barksdale Camp #1220 in Columbus, MS. June 5-7. Make checks Payable to the SCV Camp 1220 MAIL TO: 2015 MS Division Reunion; P.O. 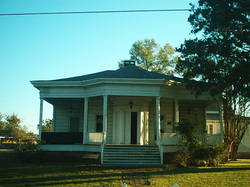 Box 404, Aberdeen, MS. 39730. JEBStuartCamp@Gmail.com. Reunion Website: http://www.jebstuartcamp.org/2015reunion; Camp Website: http://www.jebstuartcamp.org/ Host Hotel Information: Double Tree by Hilton; 1021 Koger Center Boulevard; Richmond, VA 23235; Tel: 1-804-379-3800. Rates are $109.00 a night. Ask for the "SCV Reunion Special Rate." All prices are subject to state and local taxes. 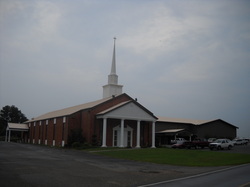 The Southern Heritage Conference will be held August 7-8, 2015 at Bethlehem Baptist Church in Laurel, MS. 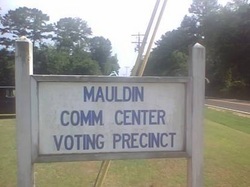 It is hosted by the Jones County Rosin Heels Camp #227 and is one of the only conferences or seminars of its kind. There are quality speakers, vendors, and Compatriots from all over attend. Contact info is George Jaynes - georgejaynes1953@yahoo.com or 601-428-5570. 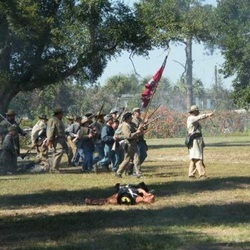 The 29th Annual Fall Muster Reenactment will be held on October 16-18 this year at the Last Home of President Jefferson Davis at Beauvoir in beautiful Biloxi. MS. There will be battles both days, tours of the house & Presidential Library, and much more. Please make plans to attend and help support the crown jewel of the Mississippi Coast. 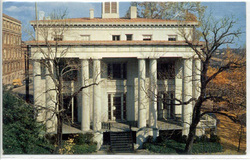 Contact information can be found at http://www.beauvoir.org/ . Camp #227 will assist the Tallahala Chapter of the DAR with the annual Halloween Tour of the historic Deason House located in Ellisville, MS. There will be a Confederate soldiers encampment next to the house. Tours go from 6pm until and the cost is $5 per person. It will take place on Saturday October 31, 2015. 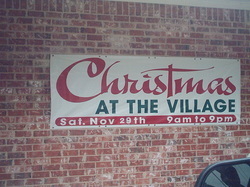 Camp #227 will take part in the annual Christmas Celebration at Landrum's Homestead and Village on Saturday November 28 located near Laurel, MS. There will be a Confederate encampment, vendors, music, wagon rides, and 3 skirmishes between Confederates and the hated Yankees. Not to mention, a large pot of 'Possum Stew. It is an all day event that will happen, rain or shine. The Rosin Heels Camp marches in multiple Christmas Parades in the month of December. The first parade will be the Sertoma of Laurel Christmas Parade set for December 5th. Everyone meets at Carl Ford's office in downtown Laurel, MS. about 9am. Then everyone moves to the parade route for formation around 10 am. This is the largest Christmas Parade in the state and there is a lot of rifle firing duing the parade. The next parade is the same day in Petal, MS. Everyone meets at 4pm at the Hudson's Salvage Parking lot with parade step-off about 5 pm.